Nancy Huston is an award-winning author whose books include The Mark of the Angel, which was shortlisted for the Scotiabank Giller Prize and Cantique des plaines (Plainsong) which won the Governor-General’s Literary Award. She lives in France. These days, the world is reeling with the news of yet another pedophilia scandal that has “sullied” the Catholic Church – in Pennsylvania, this time – with more than a thousand kids raped or sexually abused by priests over the past 70 years. Given the speed with which the perpetrators get rid of evidence and the shame and reluctance with which victims speak, we can be certain the real figures are even higher – certain, too, that the known cases, however numerous, are but the point of the iceberg. Like myself, like others, you’ve probably been struck by the resemblance between this volley of “shocking” revelations and another – one that’s been making headlines for nearly a year now – involving the sexual harassment (or worse) of women in city streets, the workplace and other areas of their lives. What’s at stake in both cases is men’s propensity to take advantage of their political and physical power to satisfy their sexual needs. Were we to put at children’s disposal an internet platform on which they could secretly and anonymously tell the truth, the avalanche of complaints would no doubt surpass #MeToo’s in violence and in volume. True, many priests' victims would be unable to bear witness, either for reasons of age (one of the Pennsylvania victims was only 18 months old) or poverty (children who are either illiterate or do not have access to the internet). 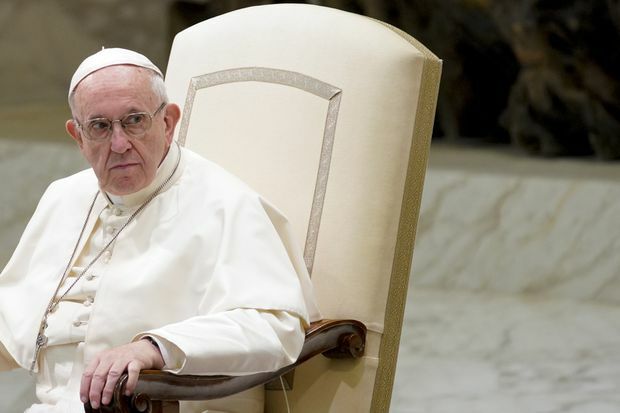 The new scandal has prompted you to write a lengthy “letter to the faithful.” But Francis, no amount of shame, prayer, fasting and repentance will overcome this scourge. Unless we do something about the factors that give rise to these acts, they will continue to occur. For the world’s run-of-the-mill sexual predators, it’s essential that we search for the causes of their acting-out. For Catholic priests, on the other hand, no need to search. The cause is flagrant – as self-evident as the proverbial nose in the middle of the face. Priests' power and influence over these people is superhuman, verging on divine. And they can start all over again the following year, with the same batch or a fresh one. Francis, this is not consecration, it’s desecration. Unless we’re convinced that only pedophiles and perverts are interested in joining the clergy, we must acknowledge that the problem is neither pedophilia nor perversion, and abandon those clichés once and for all. The problem is taking normal individuals and asking abnormal things of them. The Church itself is “perverse” in its refusal to recognize the importance of sexuality and the disastrous consequences of its repression. In recent decades, a number of Christian countries (or non-religious states with Christian histories) have gotten into the habit of denouncing foreign customs we consider barbaric or unjust – I’m thinking in particular of female circumcision or the wearing of the burka. To those who practise these customs, we enjoy pointing out that nowhere in the Koran (for instance) is it stipulated that little girls' clitorises should be cut off or women’s faces covered, that these practices were invented at a specific moment in history, to help specific societies organize marriages and distribute wealth. Judging them to be innately incompatible with universal human values (freedom, equality and fraternity) and the rights of individuals, in particular the right to physical integrity, we feel justified in outlawing them within our borders. But those who indulge in these practices consider them to be beyond dispute, and inseparable from their identities, in exactly the same way as the Church considers the dogma of celibacy for priests. This is not the place to discuss the multiple and complex reasons for which, after the split between the Oriental and Latin churches, the latter decided to distinguish itself from the former by making celibacy mandatory for its priests. It’s well known that Jesus had nothing to say on the subject. Though he himself refrained from marrying, there were married men among his apostles and, in other forms and eras, Christianity has allowed and still does allow its officiants to wed. The Catholic dogma of celibacy dates back only to the Middle Ages, a good millennium after Christ’s death. What needs to be emphasized is that this dogma, which does at least as much damage as female circumcision or the burka, is also the result of a specific history. And this means it can be cancelled by another historic decision – one that you alone, Francis, are in a position to make. Yes, you alone have the power to lift the injunction to celibacy for Catholic priests, thereby protecting countless children, adolescents, men and women all over the world. Forced celibacy simply doesn’t work. The fact has been amply proved and reproved. Most priests don’t manage to remain chaste. They try and fail. The truth must be confronted, and the iniquitous dogma buried once and for all. Given that lives are destroyed wherever it holds sway, it is criminal to prevaricate and procrastinate. You know this is true, Francis; we all know this is true. The Church’s role is to protect, not the powerful but the powerless, not the guilty but the innocent. Jesus said, “Let the little children come to me, and do not hinder them, for the kingdom of heaven belongs to such as these." Over the past millennium, how many millions of children have been turned away from the Church, disgusted by the Church, prevented from coming to Jesus, after having enduring this trauma? So please, Francis, find the courage to stop this. As the supreme authority of the Catholic Church, it would be by far the most important, courageous and Christian act of your entire mandate. Though I know you wouldn’t dream of doing it for your personal glory, there’s no doubt that it would bring you glory. For centuries to come, priests and congregations would thank you for your prescience, humanity and wisdom. I beg of you, be brave. The time has come. Now, now, the Church needs to stop fostering (and thus perpetuating) crimes that have damaged countless lives the world over for centuries. Say basta, Francis!